31-year-old Marcelo Michel Leano is one of the most interesting coaches in Liga MX right now. 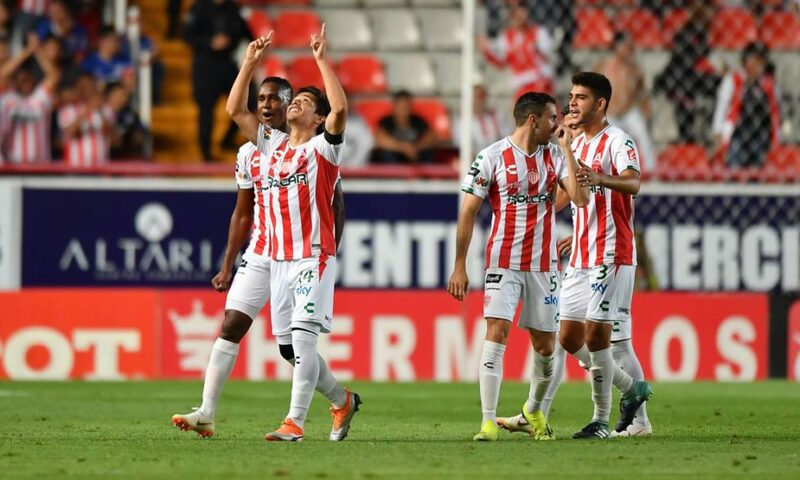 His Necaxa side have struggled defensively this season, which was to be expected following the departures of Marcelo Barovero, Igor Lichnovsky and Mario de Luna, but have played some attractive football. On Saturday, Leano’s side showed their potential, inflicting a first defeat of the season on Cruz Azul. Along with re-building the defense, Leano’s big challenge was trying to find a balanced formation that fits in outstanding, attack-minded, central players; Matías Fernández, Dieter Villalpando and Víctor Dávila. The system chosen against Cruz Azul appears to be an excellent, if unorthodox, solution. Leano fielded a 4-3-3 false-nine formation, with Fernández and Villalpando covered by the underrated Fernando González and Dávila given license to roam as the false-nine. Width was provided by Daniel Álvarez on the right and Brian Fernández, usually a centre-forward, on the left. Dávila thrived in the free role, winning and scoring the penalty which sealed Necaxa’s win, whilst also completing three of four dribble attempts. Dieter, who gave away possession just three times on Saturday, and Matías, scorer of an outrageous under the wall free-kick, were also outstanding. Nexaca’s average position map during their two-nil victory over Cruz Azul. See Dávila’s (26) position behind this two wide attackers Álvarez and Fernández. Via the Sofascore app. During his spell at Tijuana, Víctor Malcorra was usually used as left winger, with a few appearances as an attacking midfielder. Pumas coach David Patino has placed Malcorra in a different role since his summer transfer to Mexico City. The Argentine is has been playing in a deeper, central midfield role within Pumas’ 4-4-2 system. 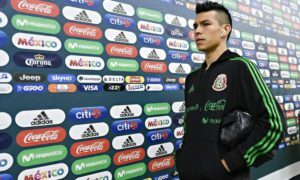 Whilst Malcorra does have license to push forward, with cover provided from Kevin Escamilla, Víctor’s defensive responsibilities are more significant than during his spell in Tijuana. Against Lobos BUAP this Sunday, Malcorra produced a complete midfield performance, suggesting that he’s become accustomed to the new role. Víctor made three key passes, completed five of six crosses and won all four of his tackle attempts. Considering the attacking talents of América, Morelia arrived at Estadio Azteca with a respectable strategy. Star man Diego Valdés, perhaps due to his international exploits, started on the bench, with 19-year-old Mexican Roberto Meraz starting ahead of him. This offered a bit more defensive work-rate in the Morelia midfielder, and Roberto Hernández’s organised side made life difficult for América. La Monarquía defended deep and effectively in and around their own area, using the physicality of Gabriel Achillier to deal with any balls into the box, and quickly getting players behind the ball during América counters. However, until late in the game, Morelia completely lacked any attacking threat. With Miguel Sansores, usually a striker or number ten, starting on the left-wing, Morelia had an extra threat for crosses into the box, but had to rely on right-winger Carlos Fierro as their out-ball. Fierro, as is so often the case, consistently lost possession, resulting in attacks breaking-down. Fierro completed just one of eight cross attempts, was dispossessed five times and didn’t complete a dribble. 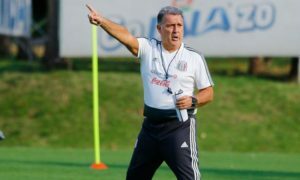 Rodolfo Vilchis threatened more when he replaced Fierro, and Morelia may have created more had Vilchis started the match. León and Santos play fairly similar styles of football. 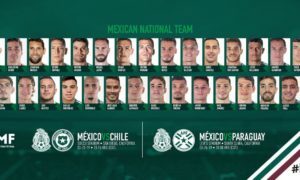 The pair are two of the most direct teams in Liga MX when attacking, using powerful Argentine target men as their focal points for long passes and a regular supply of crosses. With similar styles, and near-identical kits for the first period of the game, it was hard to distinguish Santos and León. A three-nil Santos victory suggests a dominant display, but the match stats show that it was a fairly even encounter. Possession was shared 50/50, as were shots, 12 each. León didn’t actually manage an effort on target, but they did attempt more shots from inside the box than Santos (seven to five). The three Santos goals were a result of mistakes from defensive players. Rodolfo Cota’s under-powered throw led to Jonathan Rodríguez’s opener, Andrés Mosquera inexplicably let Julio Furch turn and shoot in the box, and Alexander Mejia gave away the late penalty with a rash challenge. This game highlighted the significance of individual errors in the low scoring game of football. Santos didn’t play significantly better than León overall, but exploited León errors to win comfortably. 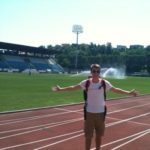 Fans of La Fiera have unfortunately become far too accustomed to defensive errors in recent seasons. Chivas kept themselves in the thick of the play-off chase with an excellent win at Estadio BBVA Bancomer. In a match full of momentum swings, Chivas sealed the victory in the 85th minute when 20-year-old midfielder Alan Cervantes finished off a 17-pass move in sensational fashion. José Cardozo’s side, who played with three centre-backs against Monterrey, used their extra man at the back effectively during the 17-pass move, playing around the press from Rogelio Funes Mori and Dorlan Pabón. 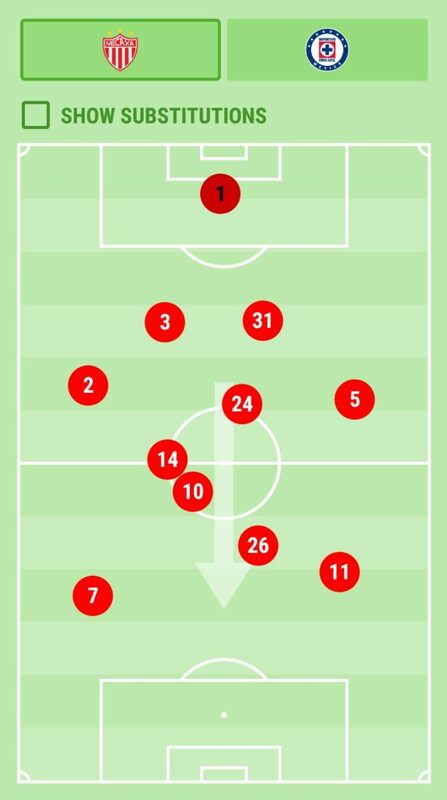 Chivas then moved forwards via the left-wing, with Edwin “Aris” Hernández and Gael Sandoval combining before feeding Cervantes. Alan turned and moved between two Monterrey defenders, left César Montes on the floor, and found the far corner. A superb team goal finished by an excellent piece of individual play.